Art Basel 2017 opened with strong sales for blue-chip artists: The current taste for weighty – and pricey – artists, a reaction to the uncertain political and economic backdrop, plays to the strength of the venerable fair, now in its 48th edition. 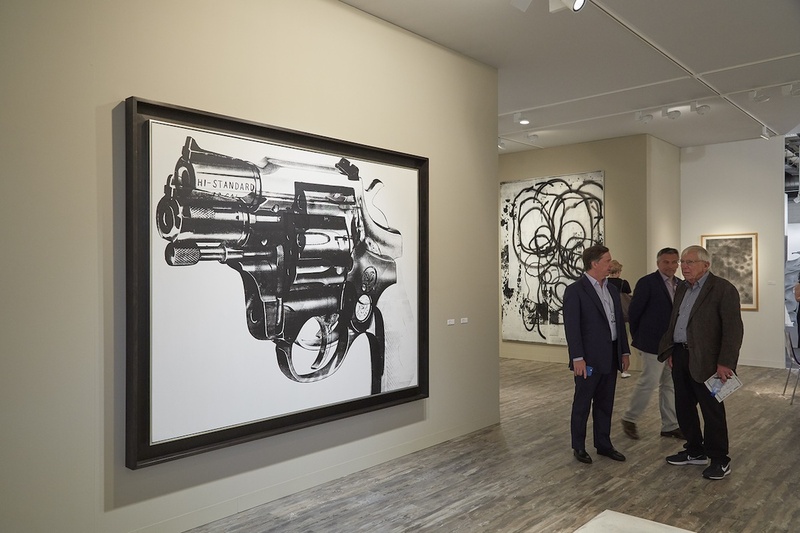 18.07.2017, Artsy : What Sold at Art Basel in Basel ? Image : Installation view of Mnuchin Gallery’s booth at Art Basel, 2017. Photo by Benjamin Westoby for Artsy.